The Governator has come and gone but Californians are still among the most heavily burdened taxpayers in the nation. We rank first in state sales tax and gas tax, second in income tax and, even with Proposition 13, we rank 10th in taxes per owner occupied residence. You’d think this would be enough for the Sacramento politicians and powerful special interests but, as always, it is never enough. The current governor wants voters to approve Proposition 30, a $65 billion tax increase, and he has raised $11 million so far to pay for a massive campaign to convince voters they are not paying enough of their hard earned money to government. Not surprisingly, of the top 10 contributors to pass Proposition 30, 6 are government employee unions that expect to benefit from more government income. But many will find it curious that those who also want you to pay more include major industries in health care, tobacco, pharmaceuticals, insurance, entertainment, telecommunications, financial services, beverage manufacturers and distributors and Indian tribes, just to name a few. Not only is it hard to go through the day without being taxed, as Arnold (version 1.0) pointed out, it is hard to go through it without using the services of companies such as Blue Shield, Aera Energy, Occidental Petroleum, America Beverage Corp., Disney, Warner Bros., Viacom, CBS, NBC, Sony, Dignity Health, Anthem Blue Cross, State Farm, California Cable & Telecommunications Assn., Pepsi Cola and Coca Cola. These and dozens of other major business are supporting the Sacramento politicians’ efforts to raise taxes. Back in 1978, when Howard Jarvis was working to pass tax relief for average Californians, he was frustrated by the level of support for the opposition from major business interests. Bank of America, Atlantic Richfield, Southern Pacific Railroad, Standard Oil of California, the Title Insurance Corporation, several large brokerage houses and many others, all made significant contributions to fund the campaign against Proposition 13. Ironically, all the faces in Sacramento have changed but one. Jerry Brown was governor then and is governor now. Rumor has it he has been working the phones hard with a heavy handed message. And any business that is subject to state regulation and/or is under threat of a potential tax increase is likely to listen very carefully to even a polite call from the governor. Like Howard, I have been told personally by officers and lobbyists from many of the organizations and interests who have contributed to Brown’s tax hike proposal that they have been threatened with harmful legislation if they didn’t financially support the massive tax hike. Jerry’s biggest weapon? The veto pen. So much bad legislation is on its way to his desk representing the worst of heavy handed regulation and higher business exactions that he can “persuade” businesses to contribute lest he sign the offensive new proposals into law. 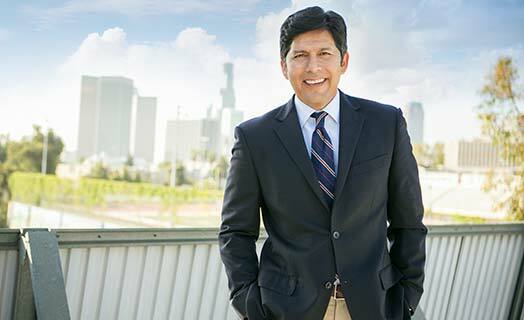 With one party rule in California, the adage “absolute power corrupts absolutely,” is in full play — especially in this last week of the legislative session. 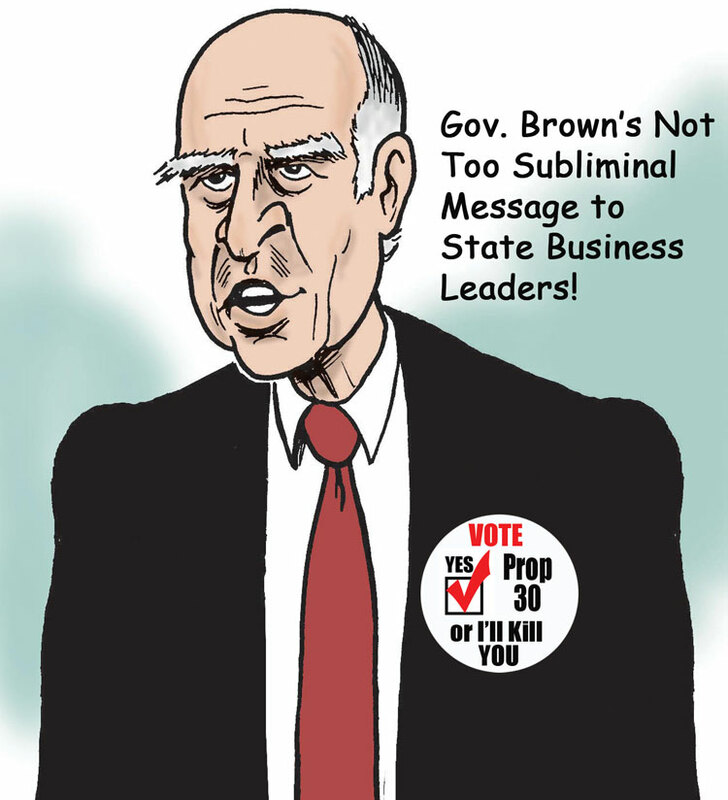 As with Prop 13, while many business interests will side with Brown publicly, privately they will vote against him with enthusiasm. For those who want to know more about who is working to raise their taxes can go to www.hjta.org and look under “Hot Topics.” Maybe a phone call or two to these businesses interests from their customers might remind them that “doing the right thing” is the right thing to do. Jon Coupal is president of the Howard Jarvis Taxpayers Association -– California’s largest grass-roots taxpayer organization dedicated to the protection of Proposition 13 and the advancement of taxpayers’ rights. 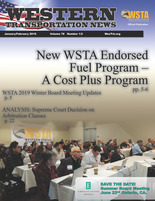 The Association only allows single taxpayers as members and dues are $15 per year.